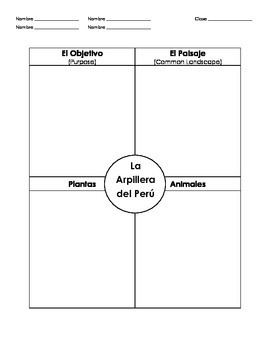 This 7-lesson unit from Mississippi Girl covers cultural elements from Peru as well as basic vocabulary and the word "Hay" ("There is/There are"). 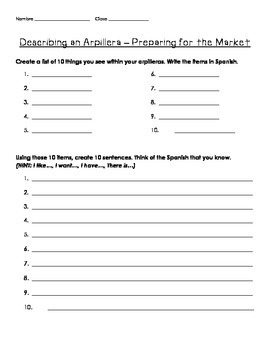 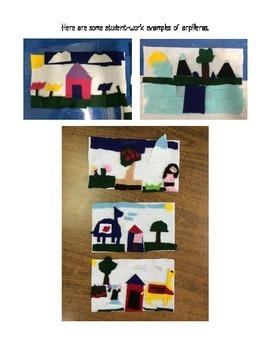 Students will learn how use vocabulary to describe an arpillera, will create an arpillera, and will pretend to sell their arpillera in an authentic marketplace context. 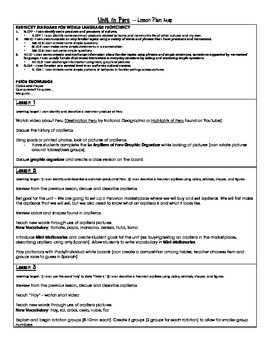 Included is a lesson map, activity sheets, and assessments to help implement this engaging unit.